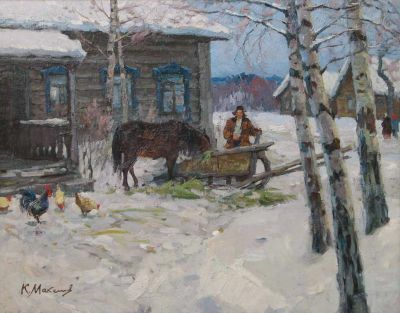 Maksimov was a prominent socialist realist painter in Moscow after 1940. He is, perhaps, best known for introducing China to the socialist realism style of painting. 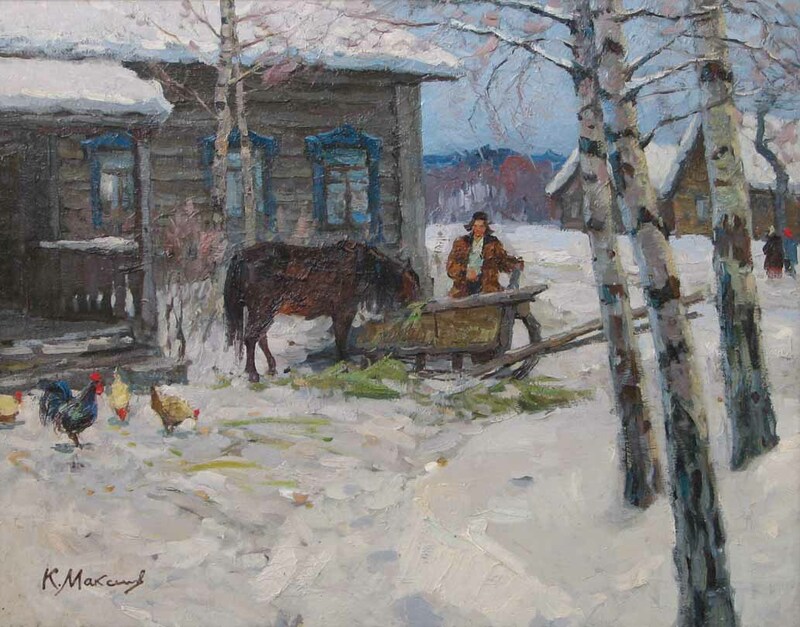 From 1954 to 1957, at the request of the Chinese government, Maksimov lived in China and taught master classes to the most promising Chinese painters. As such, he is both widely collected in Russia and China today. His works are all major Russian museums including the Tretyakov Gallery in Moscow, the State Russian Museum in St. Petersburg and the Odessa Art Museum as well as in several Chinese state museums. He is listed on page 195 of Matthew Bown's, A Dictionary of Twentieth Century Russian and Soviet Painters.